NEWPORT BEACH ― Construction on Balboa Island’s seawall will begin in November as a contractor has been selected for the undertaking. 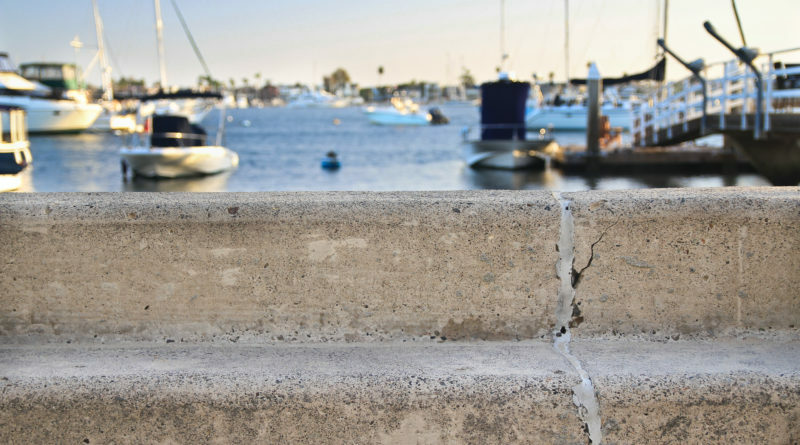 Balboa Island’s seawall provides a division between waterfront homes and the harbor. Flooding on the island has been an issue during king tide events and storm surges. Bosco Constructors, Inc. provided the lowest bid for the seawall extension project. The construction bid from Bosco Constructors, Inc. totaled $1,444,444 with $216,000 for contingency costs. “The city received multiple bids for this project and the low bid amount is 3.7 percent below the engineer’s estimate of $1,500,000.00,” the staff report stated. Additional costs in the amount of $93,360 were also approved for the design consultant, COWI Marine North America Inc. The extension project involves adding a 9-inch cap on both the north and south side of Balboa Island’s seawall, as previously reported by The Log. The project, which also includes repairing cracks in the existing seawall, will be implemented in stages in an effort to avoid too many pedestrian detours around the island. Newport Beach City Council member Brad Avery confirmed the project is expected to begin in early November, with the exact location of the first phase to be determined. Proposed costs of the entire project, including the contract work, incidentals and materials, total $1,796,804. The seawall extension is projected to be finished by the spring of 2018, according to the staff report, even with construction breaks during the boat parade and holiday season.